On Sunday, February 25, Dr. Esther Raizen will be joining us for a teacher training, followed by an evening lecture. Dr. Raizen is Senior Associate Dean for Research and Graduate Studies, College of Liberal Arts, and Associate Professor of Middle Eastern Languages and Cultures at the University of Texas at Austin. 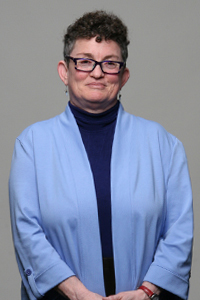 A native of Israel, she is a veteran Hebrew teacher and the winner of numerous teaching awards, research and development grants, and instructional technology awards. This teacher training will discuss the ethical, pedagogical, and artistic considerations involved in illustrating the Holocaust for young people. Dr. Raizen will begin the training by using George Stavrinos’ illustrations to Peggy Mann’s children’s book Last Road to Safety: A True Story(1975) as the basis for the conversation. These considerations will be applied to hands-on activities involving the production of a series of zines. Moving from the zines as individual projects to a class activity, Dr. Raizen will follow Eric Kimmel in his “Confronting the Ovens: The Holocaust and Juvenile Fiction” (1977) and discuss the visual conceptualization of evil in the form of a pattern borrowed from Dante’s Inferno: A center that represents the lowest point, with lesser “hells” ringed around it in ascending order. Cost to attend is $10; free for students (with valid student ID) and Holocaust survivors. Using the stories of Ada Sereni and Ruth Klüger-Aliav, Dr. Raizen will explore the story of Aliyah Bet, the clandestine immigration endeavor that brought Jewish refugees from Europe to Palestine in the 1930s and 1940s. Their stories, which exemplify the determination, courage, and resourcefulness of the time, have found expression in fiction, film, and historical research. Dr. Raizen will also discuss how Sereni, Klüger-Aliav, and other leaders of the Aliyah Bet movement helped to build the foundation of present-day Israel.